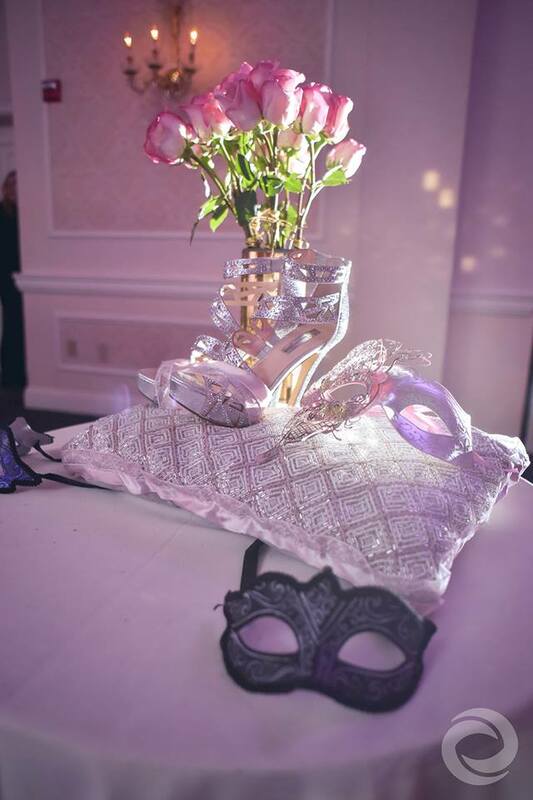 Melanie's Masquerade Sweet 16 at Hilton Pearl River was truly a night to remember. 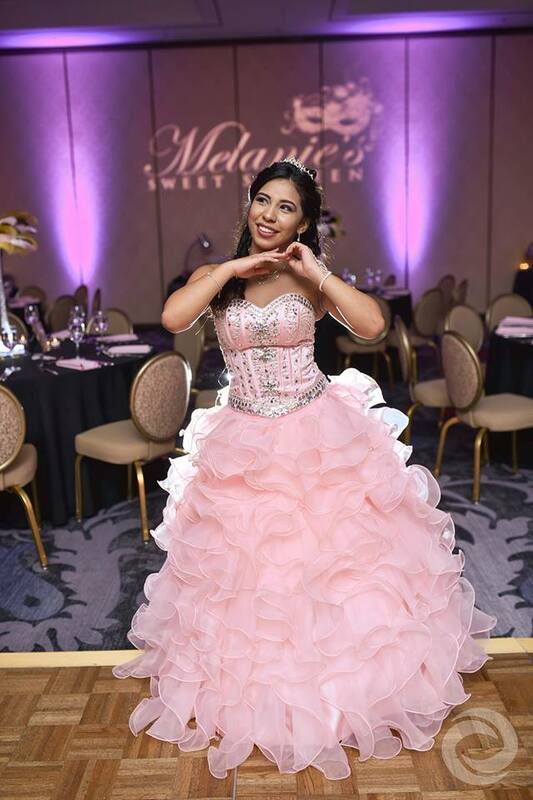 Melanie wanted a modern masquerade sweet 16 but she also wanted a hint of a traditional quinceañera. 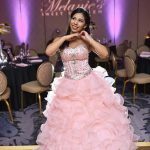 Traditionally a quinceañera is celebrated at the age 15 but we have seen families wait the extra year to adopt an American-style quinceañera. 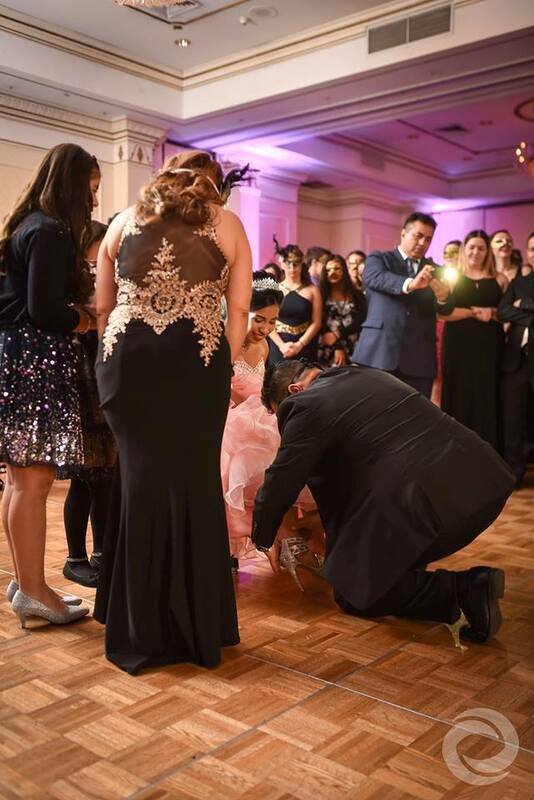 The guest of honor started her night with a ceremonial Changing Of The Shoes which transitioned into a Rose Ceremony. 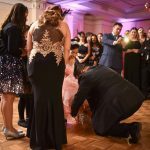 The Changing Of The Shoes is to represent Melanie transition from a girl to a woman and the Rose Ceremony gives the birthday girl a chance to dance with the special men in her life. 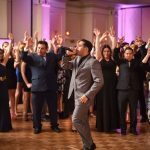 Hurricane Productions helped bring Melanie's celebration to life with entertainment, lighting, photography, and videography. 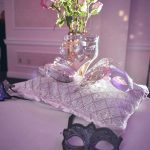 Director of Operations, Nick Nittoli set the ballroom aglow with purple uplighting, twin totem lighting, and animated screen graphics to match the masquerade theme on large LED TVs. 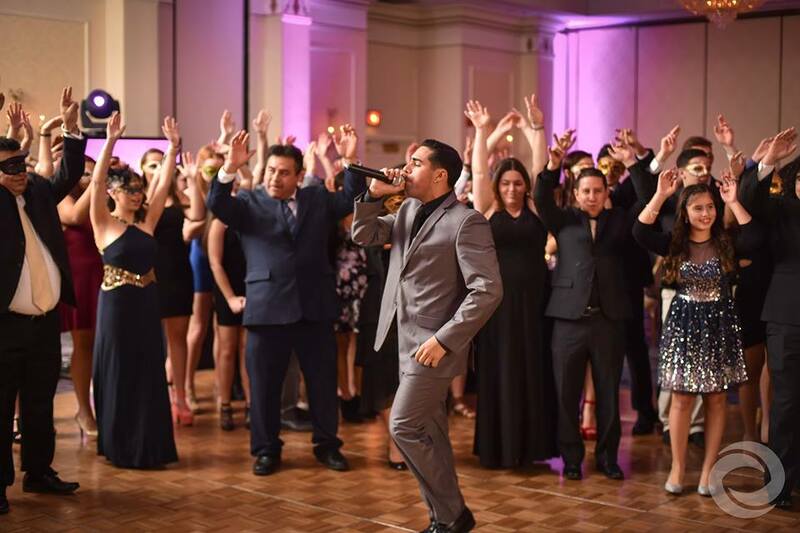 MC Robert Padovano and DJ Nate Hawley kept Melanie's friends and family on the dance floor, while the photographer and videographer captured portraits, candid shots and filmed moments throughout the night. Hurricane staffer, Chelsea set up and operated the in-closed Photo Booth.